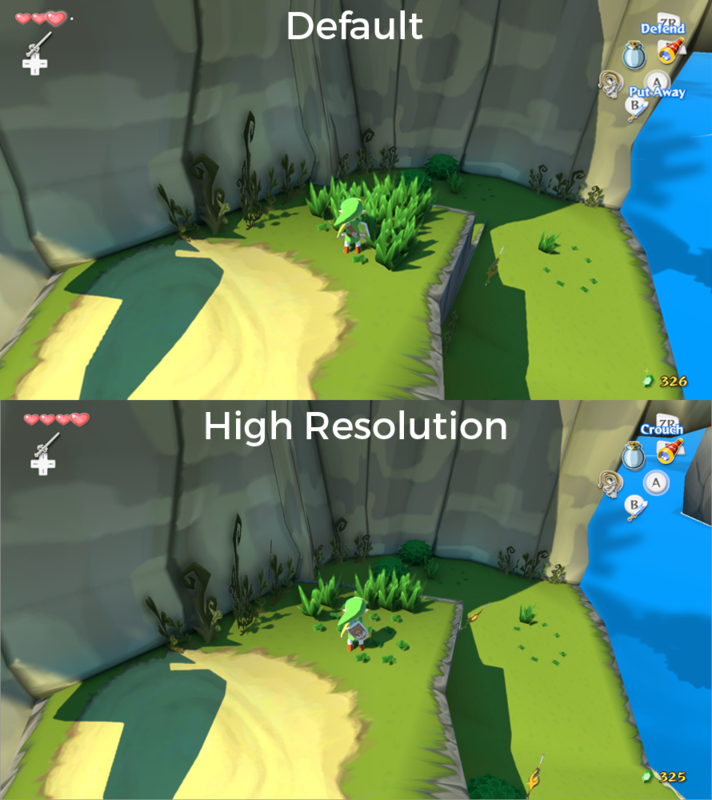 Improve shadows in LoZ: Wind Waker HD on Cemu with the high resolution shadow graphics pack. Legend of Zelda: Wind Waker HD already looks pretty damn good when emulated using Cemu. But, the beauty of using emulation on the PC is that you’re able to customize to your hearts desire. One simple graphics pack that is easy to apply and makes the game look that much better is the high resolution shadows. It makes the shadows throughout the game that much crisper bringing the beauty of the game to another level. The first picture is the default settings, without any additional graphic packs being applied. You can easily see pixelation on the cliffs shadow on the ground to the left and right of Link. The second picture has the high resolution graphics pack applied. The shadows of the cliff are much smoother in comparison to the above image. This is just one of the few graphics packs that are available for Legend of Zelda: Wind Waker HD on Cemu to make the game look just a little bit better. Check back later for more posts discussing graphic packs. If you want to get better controller support for Legend of Zelda: Wind Waker HD, check out this post regarding fixing the triggers to work simultaneously.